Sturdyboard is great for signs and presentations! 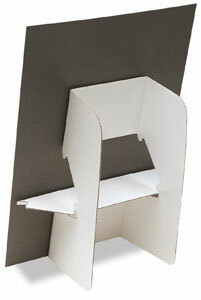 This self adhesive, easy-to-use cardboard stand supports display boards up to 20" × 30" (51 cm × 76 cm). Each package contains two white stands.  Hunt is a trademark.